So, my business is tech, my passion is fitness: imagine my excitement when I was invited to try, IMHO (that’s text speak for ‘in my humble opinion’, for those of you not yet familiar with the lingo that youth is speaking these days), the most fun fitness equipment going. 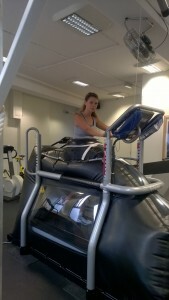 It’s an anti-gravity treadmill whose technology was developed by AlterG founder Sean Whalen. Over the summer of 2015 I sustained an ankle injury that prevented me from walking, let alone running. It did not feature in my fitness blog ‘Learn from my mistakes’ on how I lost some fitness earlier in the year because it felt like an excuse, but it certainly impacted hugely upon it. I didn’t seek physio at the time, so I was grateful to subsequently have the professionals looking at it. 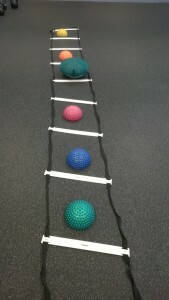 I also had a go at some exercises designed to strengthen my ankle post-injury. I was reliably informed that I am the first and only person that they have had who managed to cross the tightrope without falling off. It looks like I may have hidden talents after all; if it doesn’t work out with The Link App, I may have a plan B in the circus. On a serious note, this is a very good sign for my ankle. I have a huge fitness challenge coming up, which I will share with you in a blog shortly. You can also learn a lot about your running style or technique using such technology, and information like this is always useful. 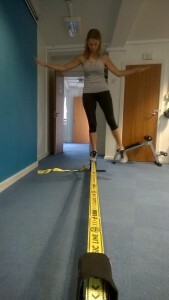 Thanks to Balance Performance Physiotherapy in Clapham for letting me try this. It’s one of those fun things ticked off the to-do list! The AlterG is available charged at between £8 and £17 per 30-minute session, depending on the size of the package purchased. THE big fitness announcement coming soon. If you know anyone who might benefit from reading this please feel to send them the link and of course, please share this post using the links below! 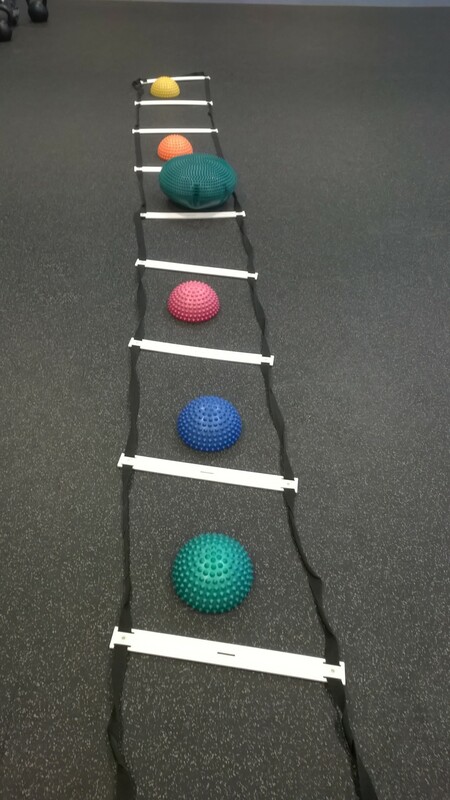 This entry was posted in BLOG, Wellness and tagged anti-gravity, fitness, tech, treadmill. Bookmark the permalink.